When asked about Mr. Leitzel, many students mention his fidelity, intelligence, and helpfulness. Teaching Algebra II and senior math requires dedication and Mr. Leitzel makes certain each individual student understands the material and feels confident in what they are learning. 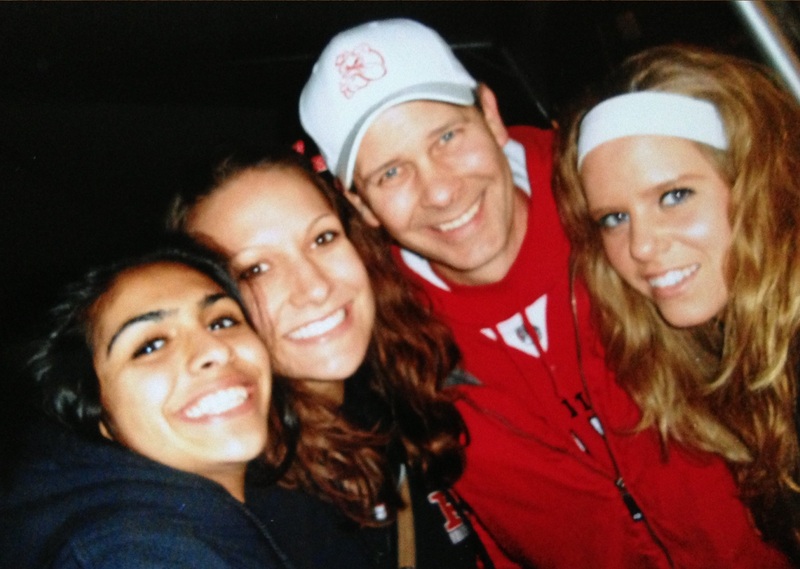 For these reasons and more, Mr. Leitzel is the November 2013 Staff Member of the Month. “Being Staff Member of the Month is a huge honor because I am a relatively new teacher at Romeo and there are plenty of great teachers here that I have learned a lot from over the years,” Leitzel said. Mr. Leitzel’s journey embarked when he attended Oakland University to become a teacher. Followed by his four years in college was a year of student teaching at Dakota High School. 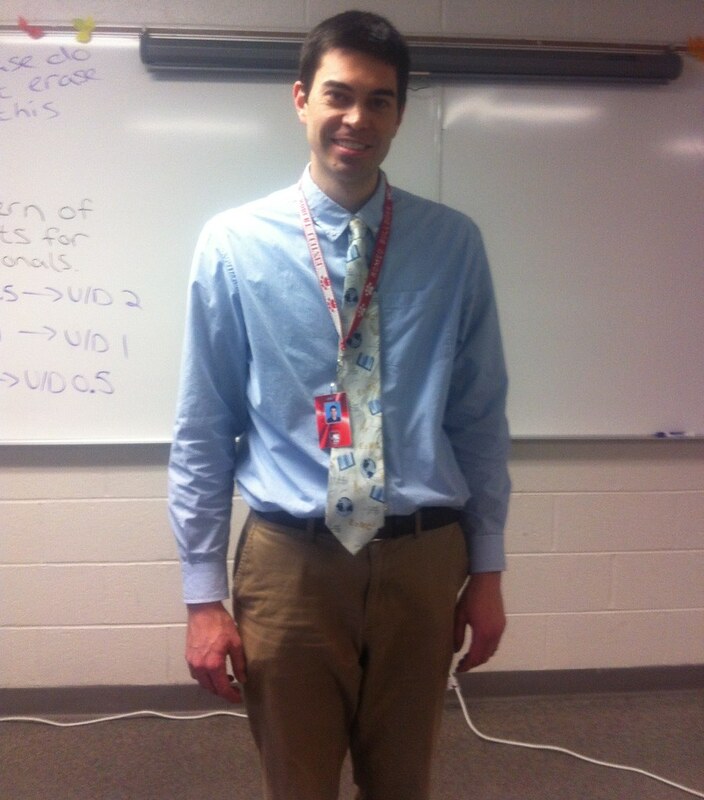 Leitzel then received his first teaching job at Romeo High where he has been working since the fall of 2007. Mr. Leitzel takes pride in his students. He understands and appreciates hard work. What sets Leitzel apart from his colleagues is his commitment to support students individually. He aids students one-on-one in the classroom. He sacrifices his own time to tutor after school. Administrators, fellow teachers, and students commend and congratulate Mr. Leitzel on his well-earned award. When students at RHS think of a teacher that is professional, unselfish, dedicated, effective, a friend, and a teacher that puts students before themselves, they think of Mr. LeBlanc. “I try to approach my students like they are my family. I want the same success for students as I want for my own kids, ” LeBlanc said. beyond the classroom, unifying his passion with theirs. LeBlanc is involved in DECA, Global Trade Mission, Teen Court, head of the Marketing Department at RHS, in addition to being on the State Curriculum Board for Integrating Economics into Marketing Program. Mr. LeBlanc started at Eastern University School of Business in Entrepreneurship. He built armored vehicles and sold tanks to other countries and the Marine Corps for some time. Later he received his masters in business at Walsh College. LeBlanc had always wanted to be a teacher and after earning his teaching certificate at Wayne State, he started working at Romeo High School. He is married, whom he met playing shortstop while she played second base, and has two daughters, Amanda and Jacqui, who attend Hevel Elementary. With the Staff Member of the Month award, LeBlanc humbly knows that it is his students that define his success. Congratulations Mr. LeBlanc for all your accomplishments and successes!